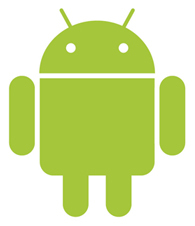 Android is gaining more and more market share, but it can be a bit confusing to people. If you go into a store and they tell you that two phone choices you are looking at both have Android on them, you can end up seeing two completely different interfaces. The reason for this is that different phone manufacturers place different skins over the basic operating system to customize them to their liking. With this video we hope to clear up a bit of that confusion for you by comparing the various user interfaces out there. To add even more confusion, Sense has also been used as a skin on Brew and Windows Mobile powered handsets. You can currently find Sense on the Aria, Desire, Hero, Droid Incredible, Legend, Magic, Tattoo, EVO 4G, Desire HD, Desire Z and more. 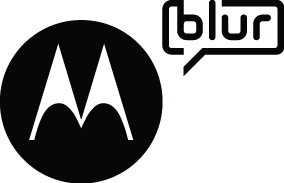 Motoblur, sometimes written as MOTOBLUR, is Motorola’s customized Android interface. It has a heavy emphasis placed on social networking activities with information delivery being push-based so you constantly keep up to date on what is happening with your friends. There are also widgets for other activities such as weather reports and news. Of all the interfaces, Motoblur probably gets the most grunts and sneers from people as they aren’t overly in love with its intrusive nature. Motoblur is currently used on the ATRIX, CLIQ/DEXT, Backflip, Devour, Flipout, Charm, Droid Pro, Flipside and DEFY with a “toned downed” version appearing on the Droid Pro, Droid 2 and Droid X.
Samsung’s TouchWiz is used not only for Android devices, but also internally developed systems and their bada operating system. It features a full touch interface, and of all the various Android skins, it probably has the most iPhone-like aesthetic to it. This is not to say it is a copy or a rip-off, but it is the one that most “feels” like it. 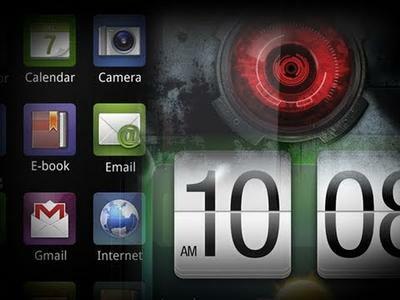 TouchWiz has been found on the Behold II, i9000 Galaxy S, Galaxy Music Player amongst others. Yes, under each of their skins there is a basic Android interface, I know it’s hard to believe. It shows up from time to time with the most notable last occurrence being on the Nexus One which Google released itself. It isn’t overly pretty, but it gets the job done, and isn’t that really all that matters? What say you? Is there an Android skin you prefer above the rest?